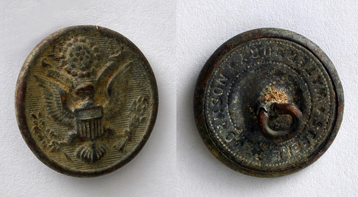 Between 2015 and 2018 I found several buttons of USA uniforms in the former German Southwest Africa. Always in contact with German Schutztruppe and fights with natives. Also, I found 2 US cartridge cases. My question: does anyone know anything about US military observers or instructors in German South West Africa between 1904-1908?